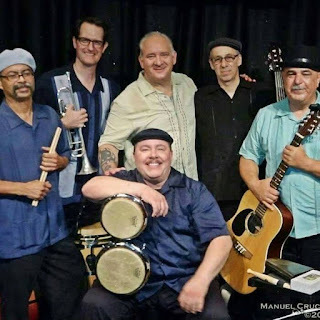 WHAT: Salsa Dancing to Live music from Combo Libertad & The Manny Cepeda Orchestra Sextet "Honoring Our Hispanic Veterans"
Come on down to Huntington Beach pier and join in on the fun as we dance Cuban salsa and rueda de casino! 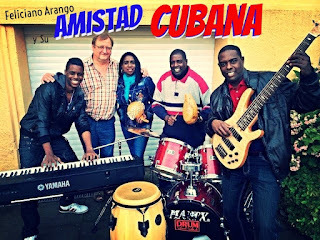 We play non stop timba from sundown until...? Pretty much until the feet just don't want to move anymore. Plenty of lights and excitement to keep us going. There is no class given this day but there are always instructors on hand that can recommend a class. Look for us on the North side of the pier just in front of the grassy area. Una bulla! CUBANEANDO in L.A. @ CURUYE & KATI HERNÁNDEZ's CUBAN DANCE PARTY! 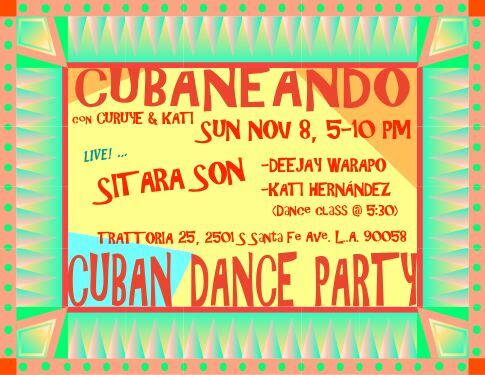 CUBANEANDO with CURUYE & KATI HERNÁNDEZ offers you an EVENING of CUBAN MUSIC & DANCE : from SON TO TIMBA! ... featuring the LIVE SOUNDS of LÁZARO GALARRAGA & SITARA SON with special guest JOSIEL PÉREZ! DEEJAY WARAPO will be playing our fave CUBAN DANCE BEATS between the live sets. All this happening back at TRATTORIA 25! Try some of the delicious offerings of TRATTORIA and CHEF SIMON! If you'd like a table, call ahead and reserve your spot at 323 587-1494. SPREAD THE WORD! LET's DANCE! $12 cover includes dance class! TRATTORIA 25 is located in the SANTA FE PLAZA (peachy pink complex on corner of Santa Fe & 25th St., LA 90058) FREE PARKING BEHIND RESTUARANT! SAVE the DATE Saturday, Nov 28th! 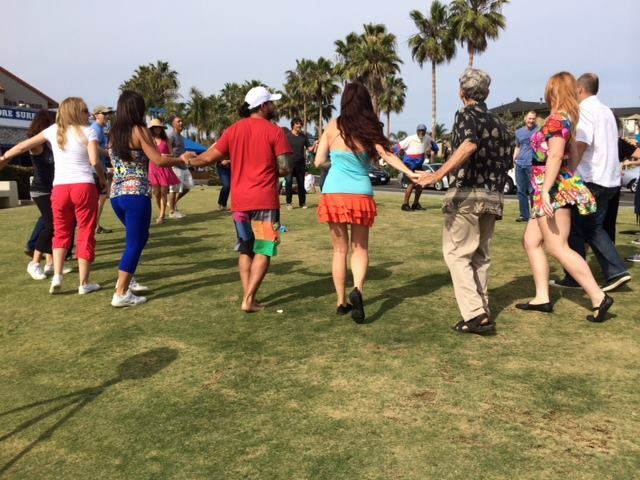 Burn some calories after Thanksgiving and dance it off dancing rueda de casino with us outside in front of the gorgeous beach-view in Carlsbad. We are going to try out a new spot for the Casino on Concrete series, but we will be on the grass. Same place where we had the very first San Diego Rueda Flash Mob which took place two years ago. The picture below is where it will be. Sexteto Sonero Del Caribe will be performing LIVE for all our North County Rumberos, Salseros and Casineros on SATURDAY, NOVEMBER 14, 2015 at LIENZO CHARRO Mexican Grill in TEMECULA! Come hang out with the us as we perform our very best in Salsa, Son Cubano, Afro-Cuban and Cha Cha music LIVE and take part in the Salsa Fama reunion AND Casinero invasion on the dancefloor!!! Let's PARTY - SEXTETO STYLE!!! COST: Cover - $10 per person, includes a delicious Mexican buffet (drinks not included); Free Salsa & Bachata dance class! Casineros will be wine tasting earlier in the day and doing rueda flash mobs at selected Temecula wineries. More info on that on another blog post. Dancessense Studios presents Super Salsa Sunday! The first Sunday of every month. Salsa Dancing is back in North County! 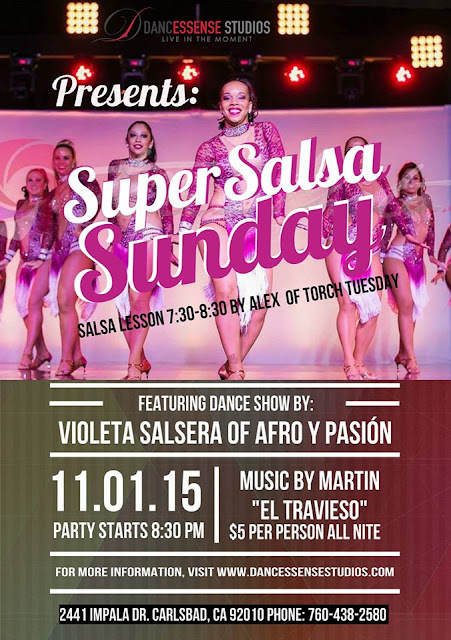 During the dance party there will be a special show by Violeta Salsera of Afro Y Pasion. Dance Party starts at 8:30pm till 12:30am with DJ Martin "EL TRAVIESO". AZUCAR!!! Join us Friday November 13th for “NOCHE CUBANA” brought to you by Esteban Conde at the beautiful Marriott Hotel in Irvine. Robert Morales and Laura Cristina from Rueda in the Park - Santa Ana will be teaching a Rueda de Casino class and will showcase a Rueda de Casino group performance. Salsa and Bachata Class, Beginner level with Heather, Intermediate/Advance level with Esteban. 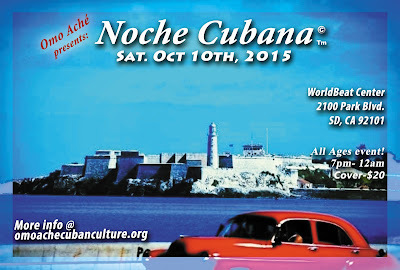 Enjoy dancing Salsa, Bachata, Casino and Timba Cubana all night!! 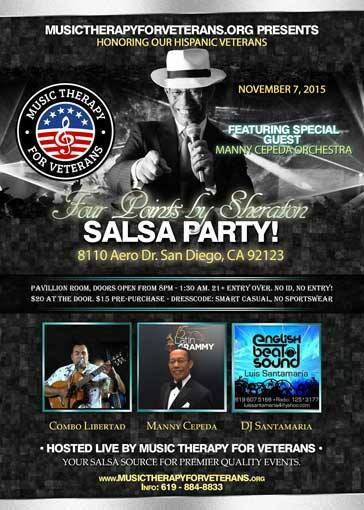 Come show your support as we bring a touch of Cuban flavor to Orange County. COST: $15 includes class, $10 without the class. … Dress to Impress; Dress Classy, Shine your Dance Shoes, and don’t forget to wear your Fedora’s! SUENALO!!! Come join Rueda in the Park - Santa Ana in beautiful Centennial Regional Park for Rueda de Casino! (Salsa Cubana) Come learn the fundamental basic elements, lots of variations and the combinations that make up “Rueda de Casino". Intermediate level starts at 12:30pm. 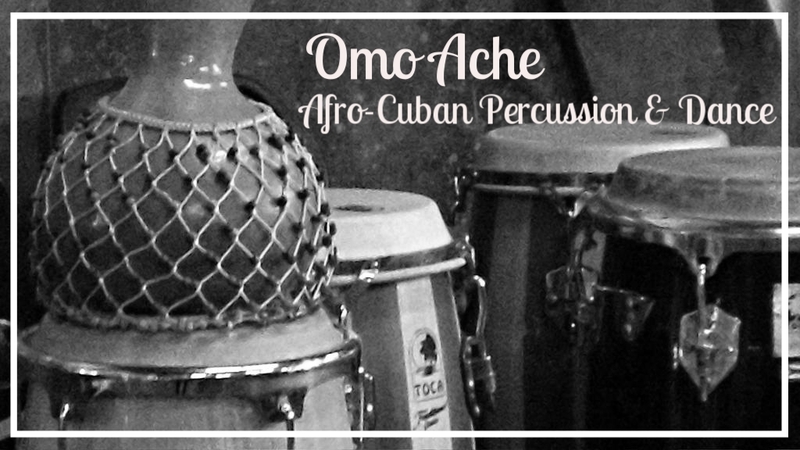 BEGINNER AFRO-CUBAN CLASS SERIES IN ENCINITAS!!! 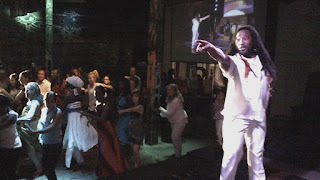 This series of classes is designed for newcomers to Afro-Cuban dance as well as any intermediate/adv. who wish to improve their form. Come explore movements from ancient traditions of West African ethnic groups as preserved in Cuba for 500+ years as you strengthen and invigorate your body. NOCHE CUBANA THIS SATURDAY, OCT. 10th. . .Y Se Formo La Gozadera!!! will be delighting us with their Son & Timba repertoire featuring a full orchestra and a whole lot of Sabor Cubano!! 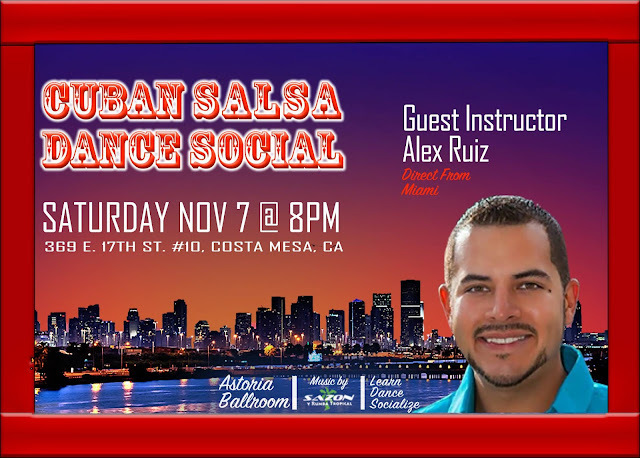 Get ready for Master Artist Juan Carlos Blanco's FreeStyle / Salsa Suelta Lesson. Nothing warms you up for the rest of the night like getting down on the dance floor! Also featuring performances by Omo Ache. . .taking you from Carnaval to Rumba AND Catch a sizzling Cubaton performance by the ladies of Divas In Heels! Get those dancing shoes ready! DJ PIRITO will be playing the best Cuban dance jams for all you Casineros, Soneros, Timberos, & Music Lovers who enjoy watching the dance as you tap your feet! Plus, enjoy electrifying artwork by featured Cuban artist, Nicolae Pedro Valera!! A real visual treat!! Delicious Cuban food & beverages available for purchase. This is an All Ages Event! 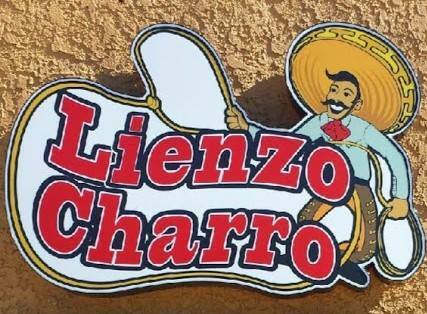 Bring the familia and friends!